The Yeezy Boost 350 v2 Zebra restock is going down on Friday. We take a look at the early sales data to see how prices will behave. The Yeezy Boost 350 v2 Zebra is restocking at the end of this week, marking the third time in as many months a popular Yeezy colorway has been re-released to the general public. Here at StockX, we’ve been following the latest restocks with keen interest, eager to discern how Kanye’s “Yeezys for everyone” strategy will affect prices on the secondary market. When the Yeezy Boost 350 v2 Zebra first released in February 2017, it was one of the most popular and profitable Yeezys ever released. 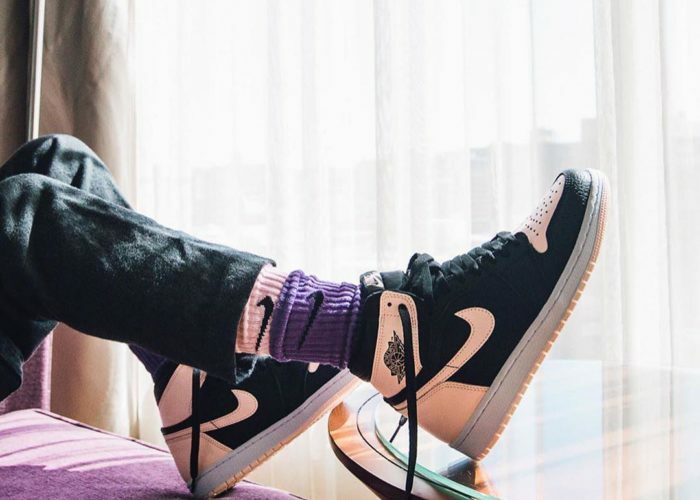 In its first 3 months on the market, resale prices were astronomical, ranging between $1,200 and $1,400 a pair. At the time, it was the second-most expensive Yeezy on the market, with only the original V1 “Turtledove” colorway reselling for more. That initial Zebra release, with its 4-digit resale prices and 500%+ price premiums, proved to be a high water mark for the V2 silhouette. Over the last 2 years, no other V2 model has fetched prices higher than the original Zebra. And yet, those sky-high prices didn’t last long. In June, less than 4 months after the original release of the Yeezy Boost 350 v2 Zebra, news broke that it would restock. As a result, the average resale price fell from nearly $1300 in May to less than $600 in June – a 53% decline. The Zebra went from being the most valuable V2 Yeezy colorway to the second-least valuable virtually overnight. By September, resale prices for the Yeezy Boost 350 v2 Zebra were hovering around $450. 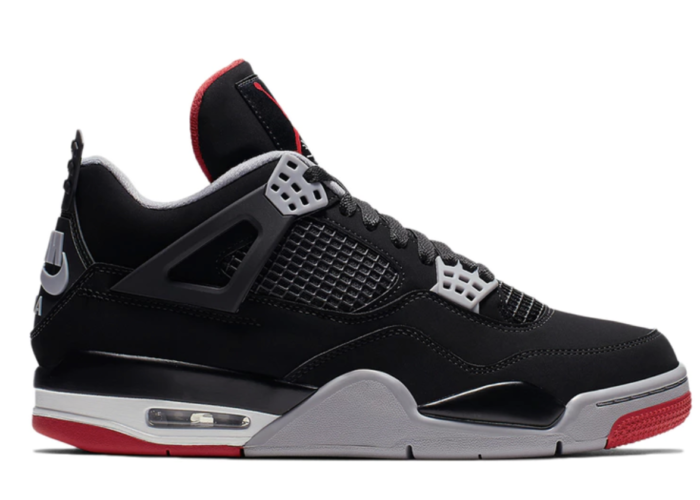 Then, on October 5, the restock was confirmed, and prices fell by 17%. Prices stabilized in mid-October, then deteriorated further as the restock approached. 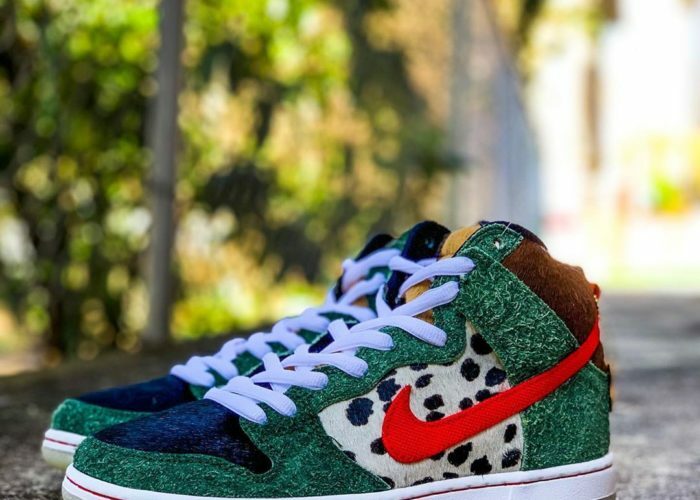 Over the last 2 weeks, they’ve declined another 20%, and are now hovering right around $300 a pair. There are two key takeaways here. First, downward price pressure from news of the restock doesn’t end with the restock itself. In the case of both the Wave Runner and Cream White colorways, prices continued to decline significantly for a full week after restock. Indeed, we observe more price deterioration after the restock date than before it. It was only in the second week after the restock that prices finally stabilize. The second main takeaway is that price variation was higher after the restock than before it. In the 15 days before the restock, profit margins for the Wave Runner and Cream White colorways tracked extremely closely. Both started out with price premiums around 70%, and then declined at similar rates to around 40% by restock day. After the restock, however, profit margins diverged considerably. 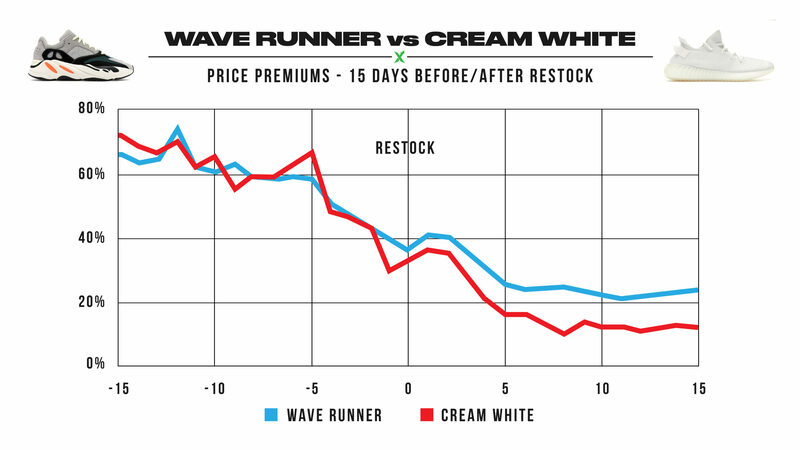 The Cream White 350 suffered a far steeper decline, with price premiums falling to just 10% in the post-restock period. By contrast, price premiums on the Wave Runner 700 never dipped below 20%. 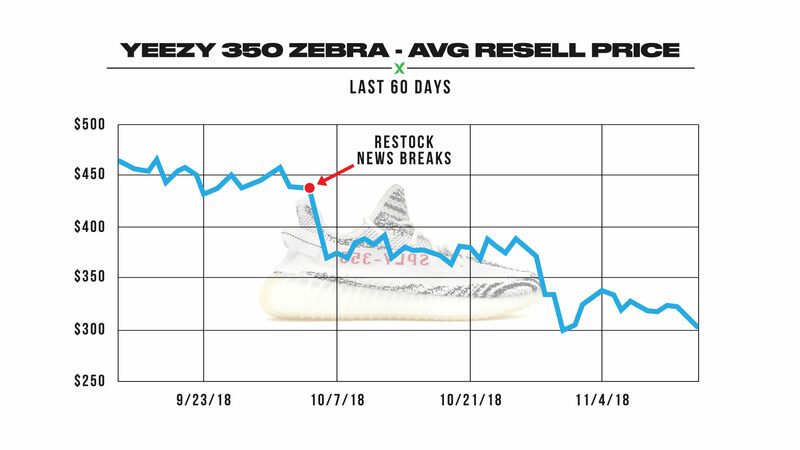 When considering the Yeezy Boost 350 v2 Zebra restock, and attempting to foresee how prices will behave, it’s important to keep these lessons in mind. The price decline will likely continue beyond restock day itself; if past patterns hold, it could take a full week after the restock for prices to finally stabilize. And it’s hard to predict how far they’ll fall in that period. If they follow the Wave Runners, the damage will be limited. But if they follow their fellow 350, the Cream Whites, then sellers should beware.